Fenders you really regret selling. Discussion in 'Guitars in General' started by dreamspace, Feb 1, 2012. Probably the guitar in general that I regret selling. Best Strat I've EVER owned (and even tried). It was super light, good fat C neck and extremely resonant...you could hit the light e string and feel the whole body vibrate, and so freaking loud too. Pickups sounded fatter than any other set I've owned. Didn't need the money, just went through a gear "flip-for-profit" phase...have no idea why I sold it. Plan was to call up the buyer and buy it back, at whatever cost (100% serious)...but I lost all my phone records, so it's probably gone forever now. On the other hand, if I kept this guy, I probably wouldn't have started on my Tele GAS search that ultimately ended with my Bowery Tele, which was a GAS-stopper. Awesome Tele type. 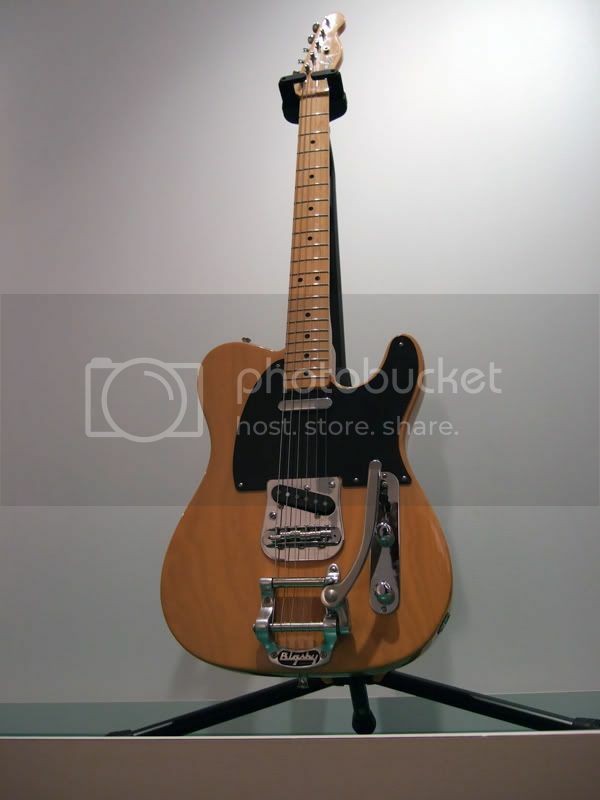 My first ever electric guitar - a blonde Japanese Telecaster with a maple neck I bought new in 1991. Sold it a year and a half later to pay for a heavy rock style Ibanez guitar with a floyd rose trem that totally didn't suit me. Ended up going pretty much acoustic for the next 15 years. Doh. I had an '80's H/S/S Strat with a Kahler trem. I had stripped it down to the bare wood and covered it with stickers, it sounded like a million bucks. I had a Fender Performer for a while. I think it is the coolest shape they ever made and it was actually a good quality guitar. I sold it to help pay for a more expensive guitar. Best bass I ever owned was the Sting signature model....wish I'd never sold it. CS '51 Relic Nocaster. I was broke. If I could have just one guitar that would be it. it wasn't a fender. it was a squier! one of the JV strats. it had it's pickups changed and the best neck of any strat i have ever owned. 1982 Fullerton AVRI Strat in Vintage White that had yellowed and was in near mint condition... Biggest mistake I have made regarding gear. Had a 1982 '62 RI strat that I picked up for nothing because it was beat up (this was pre-relic days LOL), loved it, sounded like the best strats do, and kept it for years. Eventually sold it to help fund a Rivera 1x15" Duarte model. Ended up hating the Rivera a month later, still haven't found a strat that sounds as good. Boo. I had some nice fenders for my '59 F100 Flareside. I sold 'em and went flatbed. now I want 'em back. Still gots the bed & tailgate. A recently departed friend of mine had one those. It was one of the best strats I've ever played and I've played quite a few over the years. That guitar just had it all. None. Really. There are Gibsons I miss, but no Fenders. Tough position but I'm sure she would rather have a friend own his guitar than a stranger. I'd ask her about it--enough time has passed IMO. Sold my Wildwood 10 Tele from the original 2006 run. I really regretted that. Luckily I was able to buy it back. I used to have a real 1959 Gibson ES-345 with PAFs. Wish I kept it but that's more for financial reasons than tonal reasons. Had one of these come into the shop with the same problem. the bridge plate is NOT the place to ground the string path. I went straight to the bridge. Problem solved. Fixing it got me a customer for life as nobody at any of the geetar stores had a clue. If you find another one you know the fix. I had a 86 Japanese made bound candy red Tele custom that was one of the best Teles I have ever played and traded it for a 60's Vox bass.. I miss that one a lot. I almost traded my very first GOOD electric I ever bought. 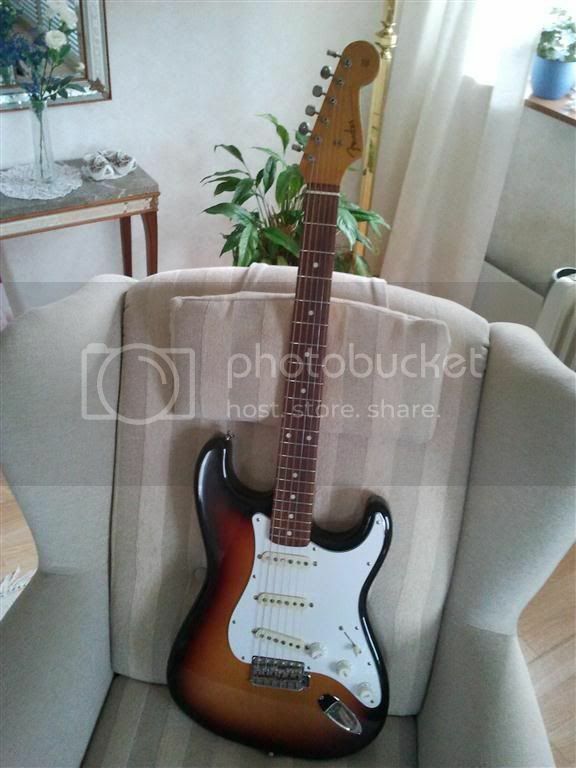 It's my '79 Fender Antigua strat. Back in '84 a guy I knew wanted me to trade my Antigua for his '82 G & L 3 pickup strat and I was so close to doing it. I'm not sure of the model,but I would have REALLY regretted that trade. So I guess other than that, it's as close as I get to selling or trading any Fender I own.Here's a pic of the one that didn't get away.